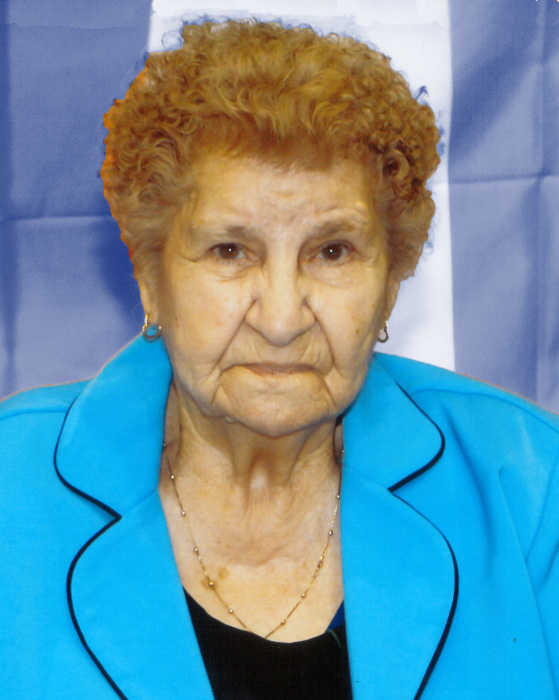 Obituary for Eliza Tremblay | Mission View Funeral Chapel Ltd.
On Friday, February 8, 2019 Eliza Tremblay of Buffalo Lake Metis Settlement, AB passed away at the age of 102 years. Eliza is survived by her children Ronald Tremblay of Edmonton, Philip (Pat) Tremblay of Vegreville, Lloyd (Connie) Tremblay of Lac La Biche, Gloria (Chris) Coles of Buffalo Lake, Clifford (Cheryl) Tremblay of Edmonton, Freda Pszyk of Buffalo Lake, Donald (Nikki) Tremblay of Edmonton, 32 grandchildren, 36 great grandchildren, 23 great great grandchildren, as well as numerous nieces, nephews, cousins and friends. Eliza is predeceased by her husband August Tremblay in 1975, numerous brothers and sisters. Daughters Evelyn Ladouceur, Bertha Tremblay, Lena Lundberg, Violet Tremblay and Reva Tremblay. Parents Magloire Cardinal and Agnes Desjarlais. Grandchildren Cheryl Tremblay, Karen Carstairs, Sonia Tremblay, Brandon Ladouceur, Baby Brock Klyne and Ken Lundberg. As well as her special friend John Schaub. Wake on Tuesday, February 19, 2019 at 3:00pm at Buffalo Lake Community Hall in Buffalo Lake, AB. Funeral Service on Wednesday, February 20, 2019 at 1:00pm at St. Catherine’s Catholic Church in Lac La Biche, AB with Fr. Aureus Manjares officiating. Interment in the Lac La Biche Mission Cemetery, Lac La Biche, AB. Honourary Pallbearers were Erica Krahling, Jennifer Ladouceur, Tara Ladouceur, Kelly Tremblay, Laurel Tremblay, Leslie Tremblay. Pallbearers were Cole Carlson, Austin Tremblay, Jason Tremblay, Justin Tremblay, Peter Tremblay, Shane Tremblay.